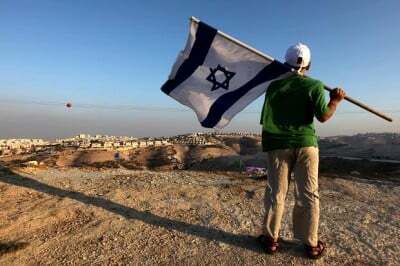 In recent developments, President Donald Trump has confirmed his support of Israel’s illegal settlements and his opposition to United Nations Security Council Resolution 2334, which confirms the illegality of the Israeli settlements in the occupied West Bank. The latter consists in weakening and eventually fracturing neighboring Arab states as part of an Israeli expansionist project. 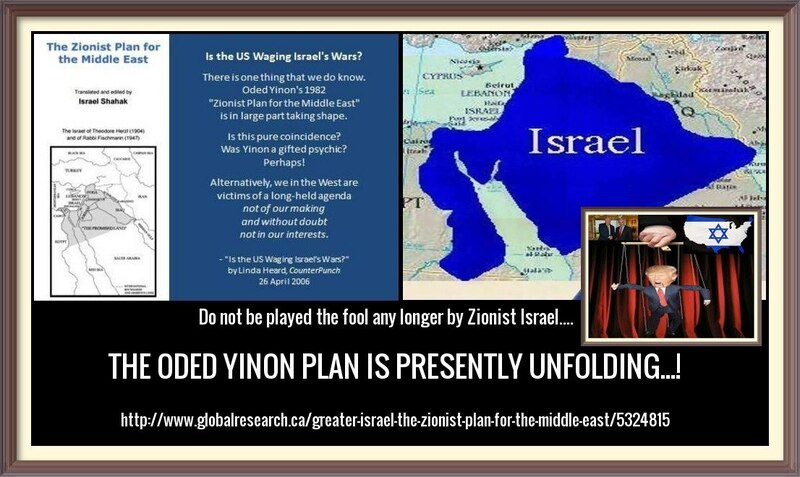 Bear in mind this design is not strictly a Zionist Plan, it is an integral part of US foreign policy, namely Washington’s intent to fracture and balkanize the Middle East. Greater Israel would create a number of proxy States. It would include parts of Lebanon, Jordan, Syria, the Sinai, as well as parts of Iraq and Saudi Arabia. The original source of this article is Association of Arab-American University Graduates, Inc.
Why do we, the Jews celebrating Pesach (Passover) in Jerusalem, still say: "Next year in Jerusalem!" Aren't we already here? The rebuilt Jerusalem we pray for is not this modern city, and the redeemed Eretz Israel is not the political state of the Jews we see today. As the influence of the Torah extends, so will the boundaries of Eretz Israel expand accordingly. "To your descendants I have given this land, from the Egyptian River as far as the great river, the Euphrates." The speculative map above is mostly based on the commentaries of Rashi and Malbim about the boundaries of the future described in the Book of Ezekiel, chapters 47-48. The details of the future map of the Land of Israel are mentioned only cryptically in the Tanach and various Talmudic sources. The Jew has come home for the third and last time. "But the third shall be left therein" (Zecharia 13:8). "The first redemption was that from Egypt; the second, the redemption of Ezra. The third will never end" (Tanhuma, Shoftim 9). "The exiles shall be ingathered only through faith"
"When will the Moshiach come? Today, as it is said: 'Today, if you will hearken unto my voice' (Psalms 95:7)"
May we soon live in Moshiach's Jerusalem, and plow the land of redeemed Israel. May we celebrate the Pesach (Passover) Seder in spiritual freedom, when all Jews will have claimed their inheritance in the eternal Eretz Israel.